The other night, in one of the RCIA session for which I am responsible, we looked at Who Is Jesus? In that video, some thing was said that struck a very wrong cord. It said that “Jesus raised himself from the dead.” I had never heard that before. I did check out a few things. I looked up the CCC. It does say that because of His divinity, Christ in union with God and the Holy Spirit was raised from the dead (638). However, our local bishop frowned on this statement. My local Jesuit school President frowned on this statement. 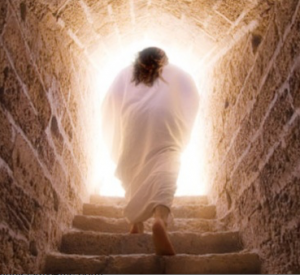 Therefore, Steve, is it OK to make that statement that “Jesus raised himself from the dead.” I do know the New Testament has many, many quotes that God the Father raised Jesus from the dead. How do I revisit that question with the RCIA participants? It is not a phrase we hear often. We know the Trinity works in harmony and in union together — in creation, for example. These two paragraphs from the Catechism are also quite clear. CCC 648 Christ’s Resurrection is an object of faith in that it is a transcendent intervention of God himself in creation and history. In it the three divine persons act together as one, and manifest their own proper characteristics. The Father’s power “raised up” Christ his Son and by doing so perfectly introduced his Son’s humanity, including his body, into the Trinity. 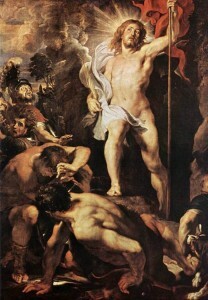 Jesus is conclusively revealed as “Son of God in power according to the Spirit of holiness by his Resurrection from the dead.” St. Paul insists on the manifestation of God’s power through the working of the Spirit who gave life to Jesus’ dead humanity and called it to the glorious state of Lordship. 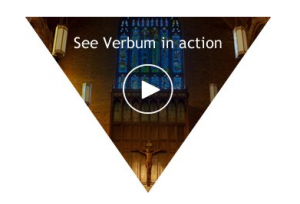 Might I suggest that you get Verbum which is a Catholic and Bible Software program which I “live on.” I’ve been using it for over 20 years. It makes this kind of research a breeze. 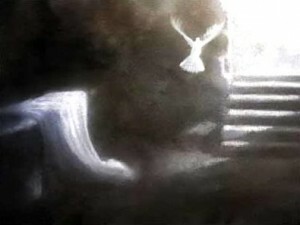 You can see it at www.Verbum.com/Steve. If you use the Promo Code STEVERAY you will get 15% off. I highly recommend it.